UN - 9 September 2014 – A group of independent United Nations experts have urged lawmakers in Tasmania to refrain from adopting legislation against protests that disrupt businesses, saying the proposed bill would contravene Australia’s human rights obligations. Among other things, the experts said that the legislation could silence legitimate and lawful protests, is disproportionate, and targets specific issues such as the environment. “If passed, the law would almost certainly run afoul of Australia’s human rights obligations, which Tasmania is also obliged to uphold. State governments in Australia need to ensure the legislation they adopt is in line with the country’s international obligations under international human rights law,” they said in a news release. The Tasmanian government argues the law is necessary to prevent businesses being disrupted by protesters, especially as Tasmania has been the focus of debate and demonstrations on environmental concerns. The bill, which is now before Tasmania’s Upper House, prohibits protests, whether on private or public property, that hinder access to business premises or disrupt business operations. It imposes mandatory penalties, including fines up to 100,000 Australian dollars ($93,000) for organizations and up to 10,000 Australian dollars ($9,300) for individuals. Repeat offenders face a mandatory minimum prison sentence of three months. “The law itself and the penalties imposed are disproportionate and unnecessary in balancing the rights to free expression and peaceful assembly and the government’s interests in preserving economic or business interests,” said David Kaye, the recently appointed Special Rapporteur on freedom of opinion and expression. 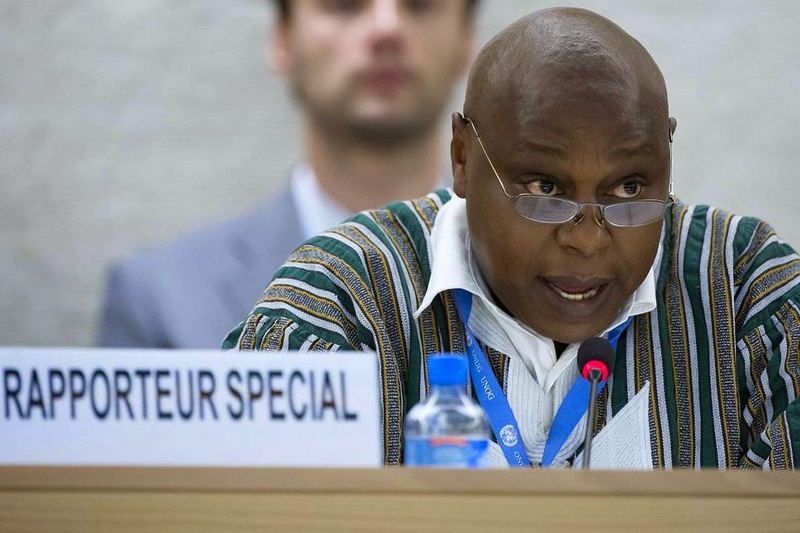 Maina Kiai, the Special Rapporteur on the rights to freedom of peaceful assembly and association, noted that in democratic societies, protests are key to raising awareness about human rights as well as political and social concerns, and of holding not just governments, but also corporations accountable. “The bill, if adopted, would impede that very function,” he stated. Michel Forst, the Special Rapporteur on the situation of human rights defenders, expressed concern that the law would curtail human rights defenders’ legitimate right to express their opinions, especially when these are at odds with the government or industry. “Moreover, by listing specific industries, such as forestry, agriculture, or mining, it specifically targets environmentalists; this is shocking,” he added. The experts, who report to the UN Human Rights Council, noted that in March 2014, Australia co-sponsored Council resolution 25/38 that recognizes that peaceful protests can make a positive contribution to the development and strengthening of democracy, and urges States to facilitate peaceful protests by providing access to public space. “Given this, the experts pressed the government and legislature of Tasmania to be consistent with Australia’s international commitments and withdraw the bill,” stated the press release. Independent experts are appointed by the Geneva-based Council to examine and report back on a country situation or a specific human rights theme. The positions are honorary and the experts are not UN staff, nor are they paid for their work.